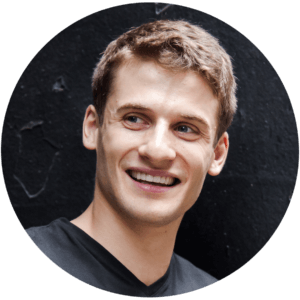 Why did Roman Health choose LegitScript Certification? 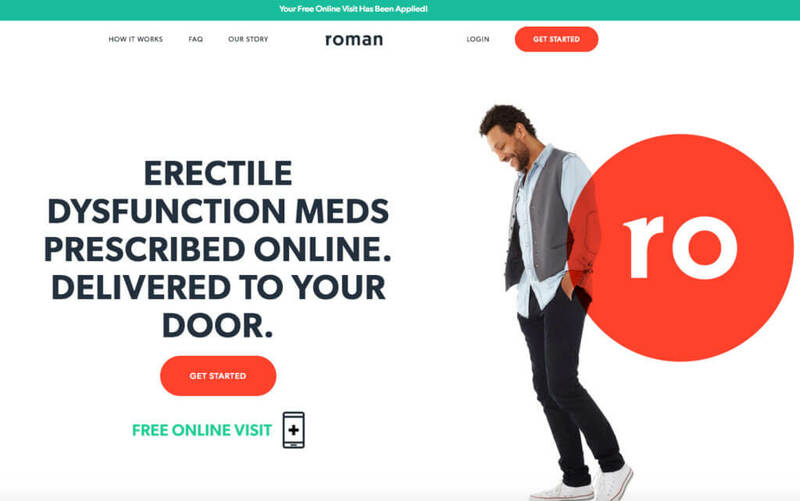 For Zachariah Reitano, founding a telemedicine business that specializes in erectile dysfunction (ED) treatment wasn’t just a great entrepreneurial opportunity — it had personal significance. At 17, Reitano was experiencing ED but had a difficult time talking about it to anyone. It’s a good thing he finally did. “Little did I know at the time that my ED was the first sign of my far more serious underlying heart condition,” Reitano said. “Fortunately, I was able to have a heart procedure, which fixed my heart.” Reitano said he remembered feeling lost when he first experienced ED. In co-founding Roman Health, he wanted to offer a solution to help men who are facing a similar problem. 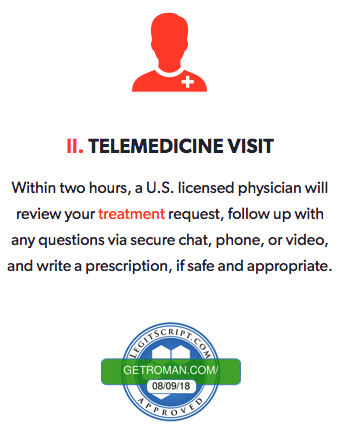 Operating at getroman.com, Roman is an end-to-end telemedicine service for men’s health that handles everything from online diagnosis to the delivery of medication. The company’s online operations help provide a private, discreet way to address a condition that historically has had a stigma attached to it. The problem with selling ED drugs online is that they are one of the most frequently counterfeited drugs on the internet. This is one of the primary reasons Reitano wanted to get Roman certified through LegitScript — to set it apart from the tens of thousands of dubious online pharmacies and telemedicine websites. But that turned out to be only one of the benefits of LegitScript Certification. In the following Q&A, Reitano talks about his experience of applying for LegitScript Certification, and why he would recommend it to any healthcare or telemedicine provider. What prompted your interest in getting LegitScript-certified? Unfortunately, the internet, particularly in this space, is filled with bad actors. Almost 80% of Viagra purchased online is counterfeit, potentially containing things like printer ink, paint, and floor wax. This is a major health concern and patients need to be protected. LegitScript is a symbol of trust. They only work with organizations that have ensured patients receive the highest quality of care. It was important for us to become LegitScript-certified and a member of this select group of online providers to let patients know they are in great hands with Roman. How was the certification process for you? The certification process is rigorous and thorough, as it should be. However, it wasn’t painful. The entire LegitScript team was an absolute pleasure to work with. The online platform was smooth and the turnaround time was incredibly fast. The customer service in particular deserves special recognition. Everyone with whom I interacted was always willing to go above and beyond, either over the phone or via email. How did LegitScript's process compare other certifications? Roman has several accreditations and LegitScript is one we hold in extremely high regard. They have definitely set themselves apart in many ways. Does LegitScript Certification help prospective customers feel that Roman is safe and trustworthy? Absolutely. There is no doubt in my mind that LegitScript is a symbol of trust and a sign of credibility for every single potential member who visits our site. Was there anything you had to fix to come into compliance? Fortunately, we did not need to fix anything in order to become LegitScript-certified. We had spent a great deal of time and energy ensuring we went above what was required at each step. The process was incredibly helpful in supplementing internal documentation and processes to make them increasingly robust, which has been important as we’ve scaled significantly. LegitScript’s monitoring and data are trusted by major search engines such as Google and Bing. Has certification made online advertising easier? Unequivocally yes. People trust Google to surface relevant and trustworthy search results. Google and Bing then rely on LegitScript’s deep expertise in healthcare, payments, e-commerce, government and law enforcement to determine which sites are trustworthy. As a result, working with LegitScript has made working with Google and Bing much easier. Any advice for other companies considering LegitScript Certification? I don’t see why anyone would not get LegitScript-certified. It is an important symbol of trust and credibility. In addition, the initial process and maintenance of the certification is a valuable service in and of itself. It ensures you are maintaining the highest standard of care. Are you an online pharmacy or healthcare provider? Get certified! Become a certified healthcare merchant and unlock the benefits of LegitScript Certification today, including the ability to participate in online advertising and payment processing programs. Many of the world’s leading companies require or recognize LegitScript Certification.